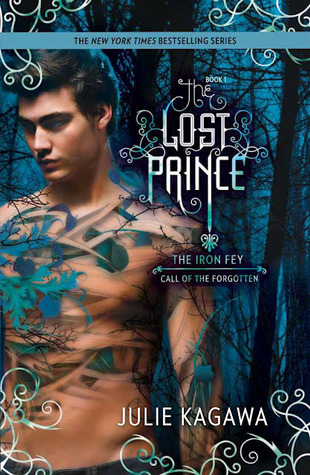 Can I say how glad I am that this book is the first in the series continuing to tell the story of the Iron Fey and the entire cast of characters we have come to love in the Iron Fey series? When I saw that Julie Kagawa was continuing this series, I was incredibly excited, but also a little nervous. I knew this series was about Ethan Chase, and I tend to not enjoy stories told from a male point of view as much as a female point of view. With all of my reservations, I will happily admit that I was wrong- this book was every bit as good as the stories told from Meghan's point of view. The main relationships in this story are between Ethan and Mackenzie. It was interesting to see how two humans react being pulled into the land of fey and how they both interact with each other. I am curious to see if the author will include what happens to the characters when they return from the Nevernever to their parents- since time flows differently in the human world than when with fey. I loved the interaction between these two main characters- they are both tough and not afraid to say what is on their minds. Neither of these characters is a shriveling wall flower. I was happy to see more of Meghan and Ash in this book- although they absolutely take a very back seat in the story. We are only given glimpses into their lives together and how they have changed throughout the years (as well as additions to their family). I do hope that there will be more of the Iron Queen and her Prince Consort in the following books- they are absolutely my favorite characters. Book one started slowly- it didn't feel rushed or hurried at all. The author chose appropriately this way, slowly rebuilding the world that we already know from past books. It was quite interesting to see how things changed and how the people have changed in this book. I can't wait to get my hands on the second book in this series- I know it will be just as spectacular and addicting as the rest of the series!